There are two telltale signs of perfect ribs. One is that the meat is fall-off-the-bone tender. The other is that they're drenched in sticky, sweet, savory, sometimes spicy sauce that gets all over your hands and face as you devour them. The recipe below ticks both of those boxes. Even better, with the Instant Pot, they are easy and quick to make. 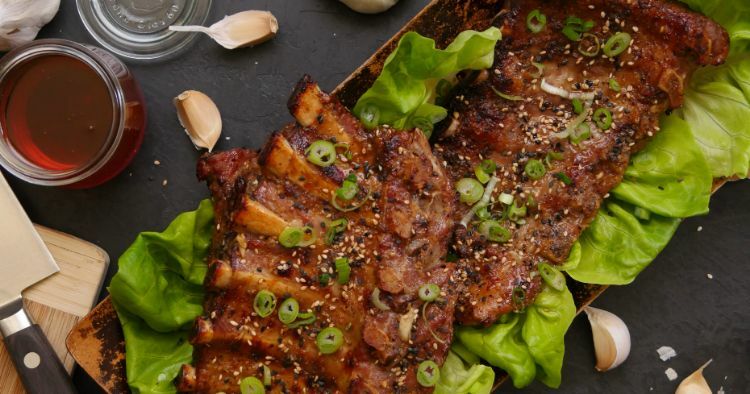 With a sweet-tangy sauce balanced with plenty of minced garlic, these ribs are irresistible. They can be served hot or at room temperature and make a perfect barbecue party dish or game-day snack. Just don’t forget to put out plenty of napkins. Place the trivet in the Instant Pot. 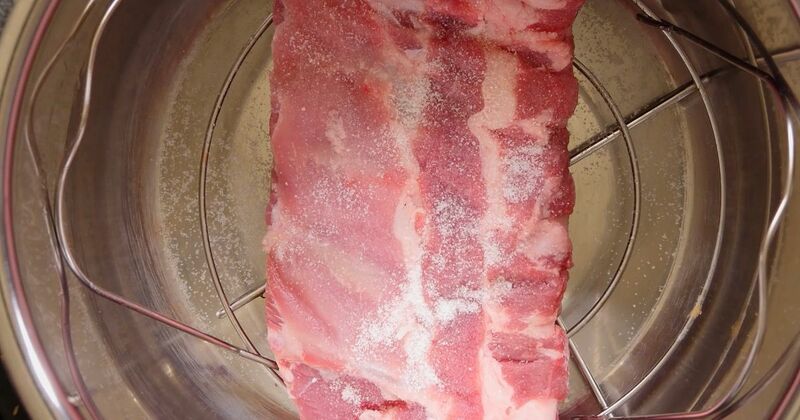 Season the ribs generously with salt and pepper, then place them on top of the trivet in the Instant Pot. Add the water. Close the lid and turn the valve to the sealing position. Select high pressure and set the timer for 30 minutes. When the cooking time is up, let the pressure release naturally for about 15 minutes, and then quick release any remaining pressure. Remove the ribs from the pot and reserve the cooking liquid. To make the sauce, in a small bowl whisk together the honey, soy sauce, lime juice, garlic and ¼ cup of the cooking liquid. Preheat the broiler or grill to high heat. Brush the ribs all over with the sauce mixture. If planning to broil them, arrange the ribs meat side up on a large, rimmed baking sheet that you've lined with foil. Place the ribs under the broiler or on the grill. Cook until the sauce bubbles and thickens, 5 to 6 minutes. Brush again with any remaining sauce and cook for another 2 minutes or so. Share this mouth-watering recipe on Facebook.